On an average day, 32 million Americans head to the grocery store to pick up necessities. Each shopper will visit the store an average of 1.5 times a week, racking up over 40 minutes each trip. In total, American shoppers spend 53 hours per year in the grocery store. As a brand, it’s important that you make the most of those 53 hours. With each retailer carrying more than 42,200 items on average, your grocery business tactics must stick out from the crowd – and the shelf. There’s only one way to understand how to make this type of impact, and that’s to go inside the mind of a shopper. The average American spends quite a bit of time at the grocery store. While we might assume that a shopper will head to the store on whatever day they find themselves running low on their necessities, we have actually fallen into a distinct shopping pattern. In particular, Saturdays are a prime time for grocery shoppers. A whopping 41 million Americans choose this day to do their weekly shopping, making it the day when shopping trips take the longest. This explains why those browsing the aisles over the weekend typically take at least 7 minutes more than usual. But, it’s not just a shopper’s time in the store that increases – what they’re willing to add to their cart also expands. 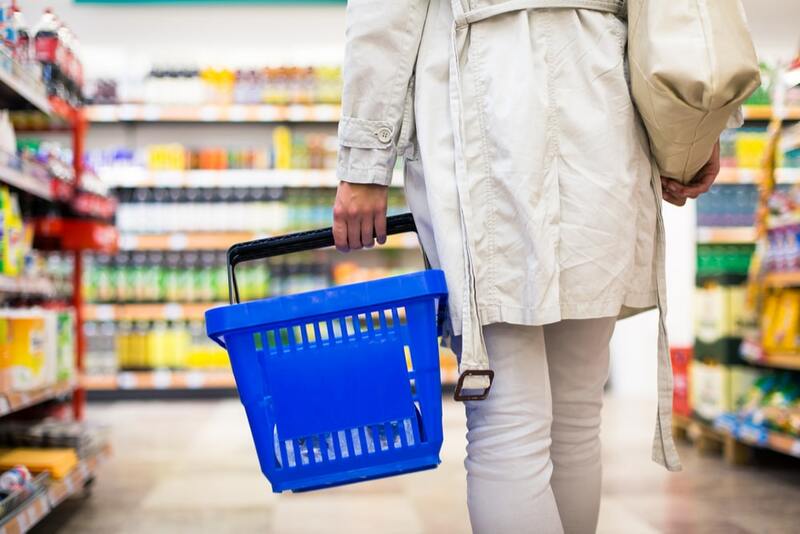 Customer data analytics show that when supermarkets are more crowded, and, consequently, are louder than usual, shoppers are inclined to buy more on impulse and more frequently than they would otherwise. A 2014 study found that when crowded grocery stores played upbeat music, the average shopping basket value was 8 percent higher than in quieter stores with no music. In fact, the shopping basket value was higher because shoppers were buying more items, instead of just more expensive ones. As a brand, understanding consumer insights like when stores will hit busier times will help you plan critical sales promotions, including retailer features, such as coupons and weekend circulars, as well as temporary price reductions (TPRs). Boasting a lower price or promotion such as buy-one-get-one during the time when shoppers are psychologically more inclined to put more in their cart is a subtle way to increase your sales. Likewise, be mindful of quieter, slower days, like Mondays or Tuesdays. Foot traffic on these days averages out to a cool 29 million shoppers, almost one-third less than what can be expected during the weekend. During these slower days, shoppers are more likely to strictly adhere to their shopping lists, and are less likely to deviate for lesser known or unplanned purchases. In 2016, the average household in America spent just over $7,000 a year on food, a figure which continues to grow steadily year over year. The weekly shopping bill for primary spenders of multi-person households has grown to $118. Single shoppers spend about half of that, $60 a week on average. Over time, what consumers are willing to spend their money on has evolved, along with their shopping preferences. Generally speaking, consumer data analytics revel that basic preferences have stayed the same over the last few years: taste is the most influential purchasing factor, ahead of price, healthfulness, and convenience. However, since 2012, sustainable food choices have also risen in popularity. In fact, a 2017 study found that consumers “view sustainability more holistically than ever before, as encompassing interconnected sets of issues related to being both a responsible consumer and a responsible citizen.” More than ever, shoppers are overlooking price and convenience in hopes that their favorite brands begin demonstrating a commitment to sustainability – switching brands if they feel their go-to products are falling short. The takeaway? It is imperative to understand what is important to your customer and modify your product and/or business practices accordingly. In the mind of a shopper, price is the second-most influential purchasing factor. However, even when they know they need an item, or that it was sustainably derived, studies have repeatedly shown that grocery shoppers actually feel a psychological pain of loss when they part with their money. But, strategic pricing can alleviate this mental barrier and even create a perceived value that drives more sales. It begins with the perceived concept of one dollar. Tagging a product with $0.99 causes shoppers to automatically round down. If an item is priced at $2.99, we tend to think of the product as costing $2 rather than $3, despite only being a penny less than $3. This perceived lesser cost makes us more likely to purchase. Consider this study completed at the University of Chicago: When the price of margarine dropped from 89 cents to 71 cents at a local grocery chain, sales improved by 65 percent. But, when the price decreased two cents more to 69 cents, sales jumped by a whopping 222 percent. Ending the price in a 9 subconsciously caused shoppers to round down, considering the product to be only 60 cents as opposed to closer to 70, and encouraged them to make a purchase. If you’re not yet using psychological pricing, now is absolutely the time to start. It’s not just 9s that perform highly in the grocery business. Prices that end in odd numbers such as 5 tend to always beat out prices that end in even numbers. What can be learned from this? That if you’re marketing your product with a price tag that ends in an even number, or worse – a $.00 – you need to rethink your pricing strategy – pronto. Take a look at other products in your category. Are they utilizing psychological pricing? Look for similar products listed at prices ending in 5s and 9s. Where are they placed on the shelf, or on secondary displays? Examining pricing trends and other point-of-purchase insights can reveal pertinent customer analytics on how your product should be priced and marketed at the grocery store to appeal to your target shopper. In order to reach your company’s peak potential, you need eyes inside the aisle. With over 32 million shoppers heading to the grocery store each and every day, there’s only one way to understand a shopper’s impact on your brand. And that’s to get inside their head. Using shopper habits, customer data analytics, and pricing data, you can get ahead of the curve today.